My mom really liked the roasted red potatoes I made a while back, and wanted me to make that again. Today, I made a similar, yet different version. 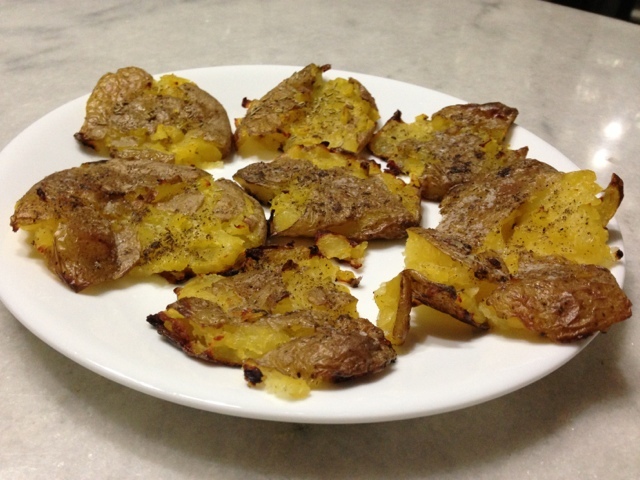 I used small gold potatoes. 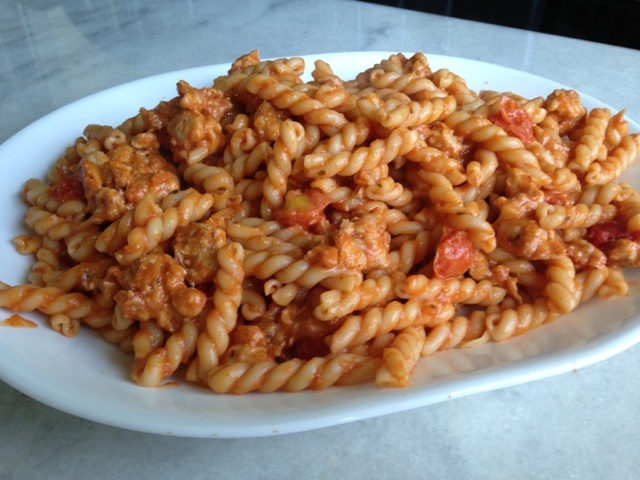 And used a combination of different spice and herbs. Both: equally delicious. I served it alongside baked tilapia that I topped off with a crumbled topping this time [see below for how I made it], along with biscuits and Caesar salad. Yum! By the way, my Cheddar Bay Biscuits would be wonderful with this meal in place of these biscuits. Again, I say “about” for all of the above because the quantities will depend on your taste bud. Preheat your oven to 350 degrees. Line a baking sheet with foil [for easy cleanup] and then spray the foil with non-stick cooking spray [to ensure your potatoes don’t stick]. I, then, took small gold potatoes and halved each of them. A few of the potatoes were larger, which I cut into thirds. Essentially, cut them all into similar sizes, so they have even cooking times. The herb and spice mixture that I mentioned above? Sprinkle that over your potatoes. Spray your seasoned potatoes with non-stick cooking spray, and then mix well [with your hands], making sure all the potatoes are coated evenly. Transfer your potatoes onto your lined baking sheet, facing all of the potatoes skin side down. Bake in the oven for about 40-50 minutes. Now on to the tilapia: I essentially used the same seasoning that I mentioned in this blog post for my baked tilapia. I left the fillets whole this time, rather than cutting them into smaller pieces. I used more lemon juice. This was to help keep the fish moist and help me for #3 below. Instead of coating each piece of tilapia with bread crumbs, I sprinkled on top a combination of bread crumbs and panko. Because I used extra lemon juice, when I went to mix my fish with the added panko and and bread crumbs… it left me with a nice crumb-like topping that coated the fish. I also had leftover that I liberally sprinkled over my fish on top. 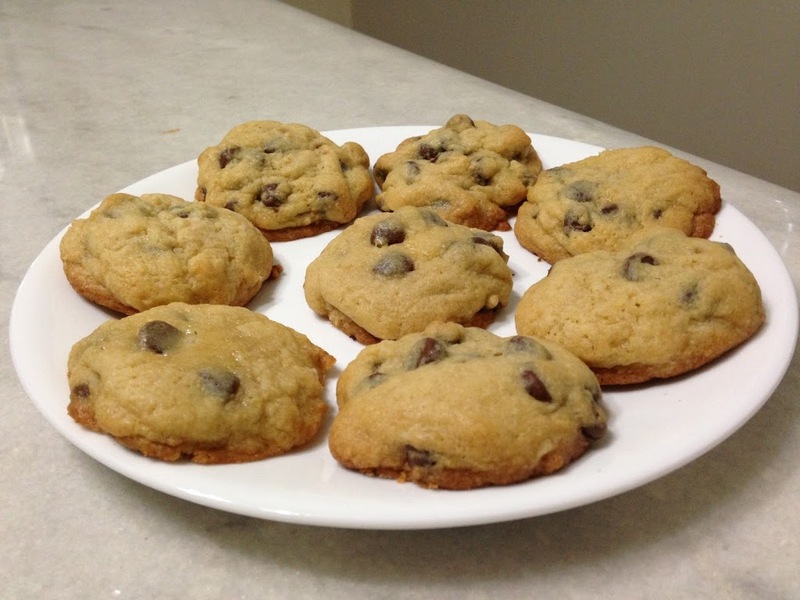 I baked it for about 25 minutes [without flipping them over this time]. The texture was great, and the topping melted in your mouth — absolutely delicious! Slowly, but surely, I have been trying to organize my drawers. Apparently very slowly: months later and all I have to show for it are 4/6 drawers in my dresser. So what, you ask? Well, apparently it’s more of a daunting task than you would think. 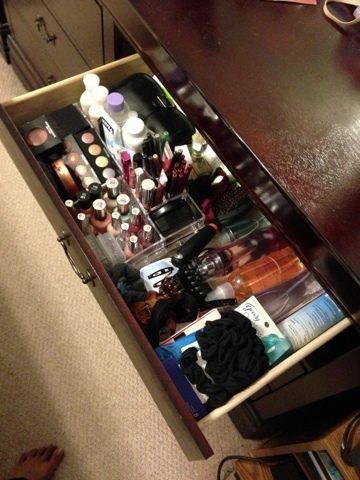 For starters, why don’t they make organization sets that when you put together use up the drawers space maximally? Ideas anyone? Let’s talk about what I’ve done so far with my dresser drawers. I have a bracelet tree that sits in the left most corner of my dresser. And I LOVE it. But considering I wear bracelets quite frequently, and have quite a few of them… I still needed to figure out a [compact] way to organize the rest of my bracelets. Plus my rings, and earrings. I don’t really wear necklaces too much as of yet, so that dilemma doesn’t apply to me. One less thing to worry about at least. Several months ago, I found the organizers pictured below and implemented them. I currently have three of them: one for rings, another for earrings, and a third one for the bracelets that I don’t have hanging on my bracelet tree. You see the wasted space I’m talking about? What in the world am I suppose to do with that space? Ideally, I’d like to figure out a way to utilize the space in my drawer in a more effective manner [and use the maximal space] and have everything side to side… so when I open the drawer I can see the bracelets, rings, and earrings at one glance. I’m open to stacking less used of all of the jewelry below the more commonly used ones. By the way as a side note: for earrings, I found a neat collapsible/fold-able organizer. Unfortunately, it would only work for studs or other small earrings so it was of no use to me. Most of mine are the dangling ones. Next project I tackled? A never-ending dilemma faced by a Muslim girl/woman who wears a hijab: how in the world to organize said hijabs. I’ve tried a basket in my closet, but it was annoying to dig through them to find the one I wanted. Plus, if I don’t see it, I don’t usually remember it’s there as an option. I considered the shoe hanger behind the door method and the hangers for scarves they have now for your closet. Both would require me to iron them for each use. Yeah, that’s not happening either. I don’t mind ironing them once in a while, but I don’t want to have to sit there ironing a completely wrinkled hijab each time. Also the visual problem was there again for the hanger(s) in my closet. I also considered buying individual drawers to put at the bottom of my closet, since that is space I wouldn’t be taking from anything else. 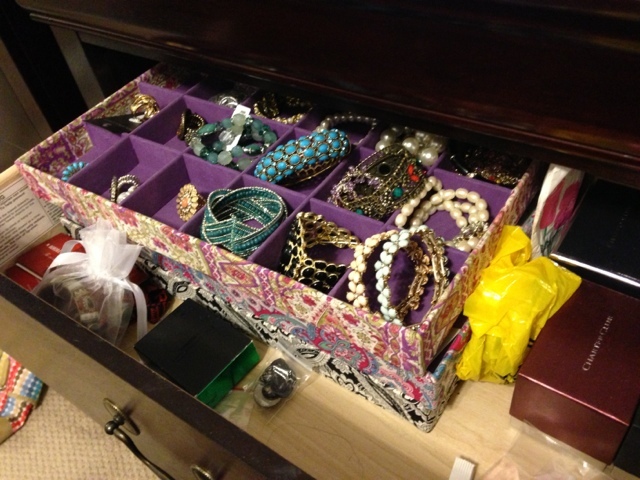 I thought I had posted about it on my blog when I organized the hijab drawers this way, but apparently not. Only on twitter and instagram at that time. So since this post is about drawer organization, I figured I’d throw it in this post. You know, considering the hijabs currently take up three out of six of my dresser drawers. What I ended up doing several months ago, finally, is this: I took the hijabs I wear frequently/regularly and rolled them up. I then organized them by color, and lay them in rows. It’s convenient, compact, and organized: which is just what I wanted. Pictured are two of the three drawers. It has been several months since I implemented this, and so far I like it a lot. Now I can just pull open the corresponding drawer [based on what I’m wearing] and see all of the hijabs at once to pick and choose from, rather than digging through a pile of them or anything of that sorts. This method also keeps them organized, because you only pull out the one you need – and are not going through several to get to one at the bottom, for example. 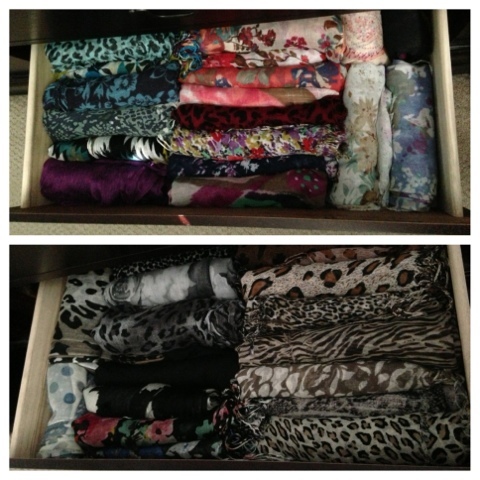 I was, pleasantly, surprised how many hijabs I was able to fit in each drawer this way! And, by the way, another pleasant surprise: rolling the hijabs keep them from wrinkling too – which means less ironing. 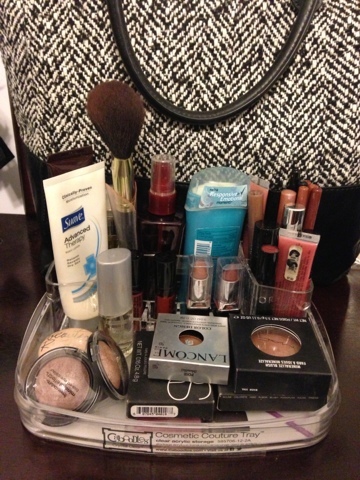 Last week, I tackled the drawer with makeup/everyday necessities/ items I frequently use. In the organizer on top of my dresser, pictured above, I housed the lotion, make-up [moisturizer, liners, gloss, lipstick, blush, eye shadow] body spray, deodorant that I use regularly. All the others [party wear or once in a while use ones], pictured below, I put in the organizer on the front left of my drawer. Don’t get me started on the wasted space in the back. Hair ties and clips are on the right [with humongous eye-shadow palette hidden below]. Clothes in my closet? Organized by color. Light to dark: starting with white on the extreme left, black on the extreme right. Next task? Purses. Probably. I think. But don’t expect anything for a few months at this rate. And while I am at it, I should think of a way to organize my cabinet of herbs and spices. Lets see. 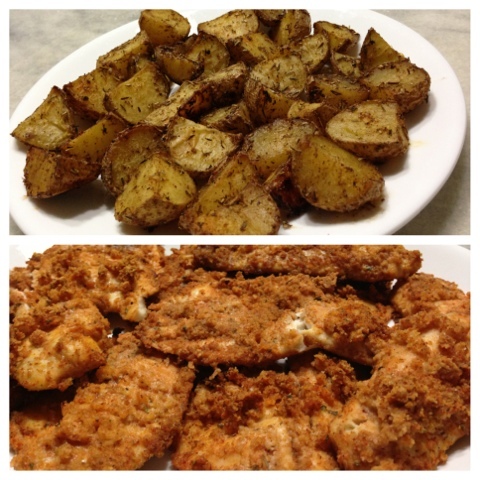 To serve alongside my homemade fried chicken, I made smashed potatoes Thursday night as well. I took small potatoes in a pot, added water [just enough to cover the potatoes], and let them cook over high heat until the potatoes were fork tender. Meanwhile, line your baking sheet with foil [for easy cleanup], and drizzle [olive] oil. Once the potatoes are fork tender, remove the potatoes from the water. Put them on the lined baking sheet, leaving space in between each one to spread. You are, after all, going to “smash” them! Next, “smash” your potatoes. With a meat mallet, a glass… whatever works. I used my potato masher. 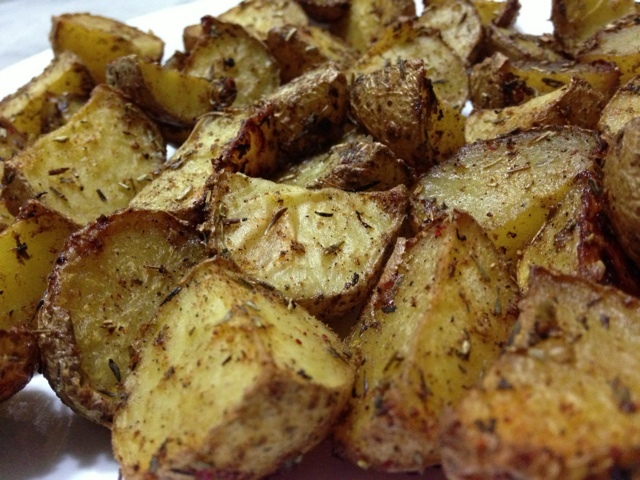 Then, drizzle more olive oil on top of all the potatoes and season them. I sprinkled salt and pepper on all of them, and rosemary on only about half of them [thanks to the picky brothers]. In a preheated 450 degree oven, bake for about 20-25 minutes [or until they are crispy]. I felt like they could be a bit more crispy, but I didn’t want to use too much [olive] oil, and worried about the bottom burning. It tasted really good, so that’s all that matters I suppose. Fried Chicken. No oven-fried. No skimping on oil. With smashed potatoes. And biscuits. I hope the family enjoyed it, because it’s not happening again for a very long time! I actually used double the amounts listed above for seven to eight people. I’ve never used buttermilk in my fried chicken before, but had some leftover, so I decided to use it up and see what the hoopla is about buttermilk marinated fried chicken. In the end, I do think that the buttermilk helped keep the chicken moist inside. About two hours, at least, before you plan on frying your chicken, season your cut up chicken pieces with salt, pepper, garlic powder, onion powder, paprika, and cayenne pepper. Mix well. Add about a cup of buttermilk, coating all the chicken. Cover, and let it sit in the fridge for at least two hours. I marinated mine about 9-10 hours earlier. 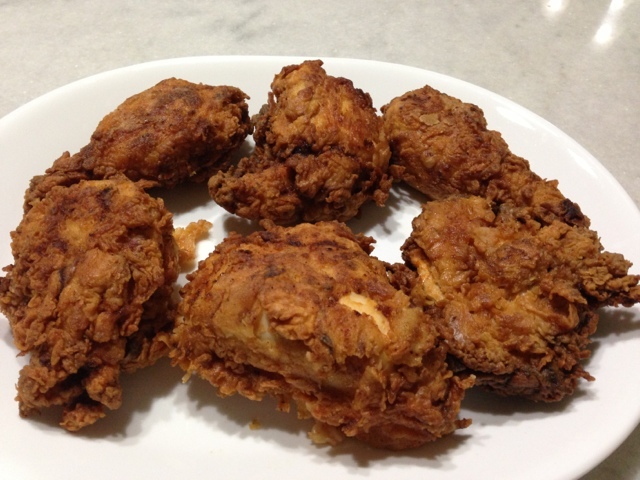 [About] ten minutes before you are ready to fry your chicken, take the chicken out of the refrigerator. Meanwhile, season your flour with salt, pepper, garlic powder, paprika, and cayenne pepper. Mix well. Individually remove the chicken pieces from the buttermilk, shaking off the excess, and coat in your flour mixture. You can repeat this step twice with all your chicken if you would like an extra crunchy crust, but just once was enough for a nice and thick crust. On high heat, heat up your oil. I’d say the oil should come up half way to the chicken. Fry your chicken, until the crust is nice and golden brown on both sides. Tip: Fry your chicken in batches, so you don’t overcrowd the chicken and fry similar pieces together [ for even cooking time]. I meant to serve coleslaw with it today as well, but forgot to make it last minute. Other suggestions to serve alongside the fried chicken: my baked seasoned fries, roasted red potatoes, this biscuit, or this cheddar bay biscuit [my version of the ones served at the Red Lobster chain]! 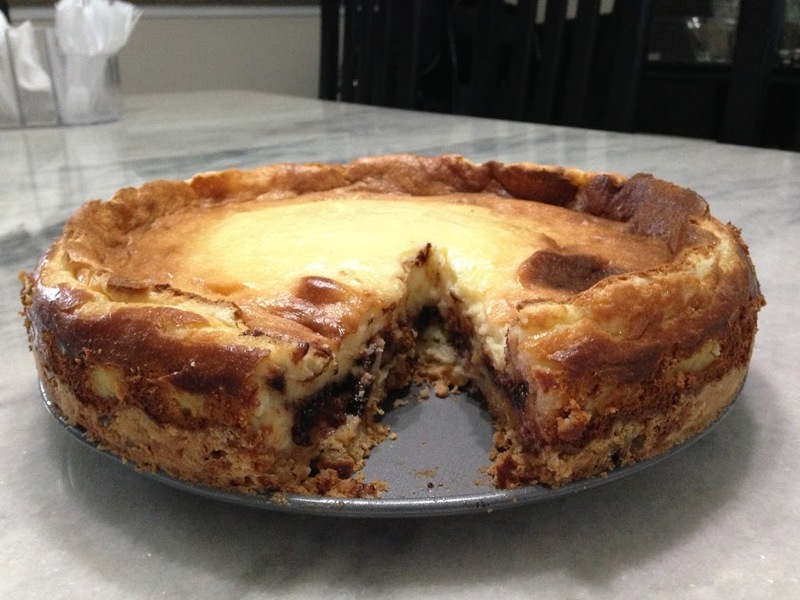 Today, I made cheesecake with a warm chocolate center [homemade from scratch] as an early dessert for my parents [29th] wedding anniversary tomorrow! It was absolutely melt-in-your-mouth delicious! 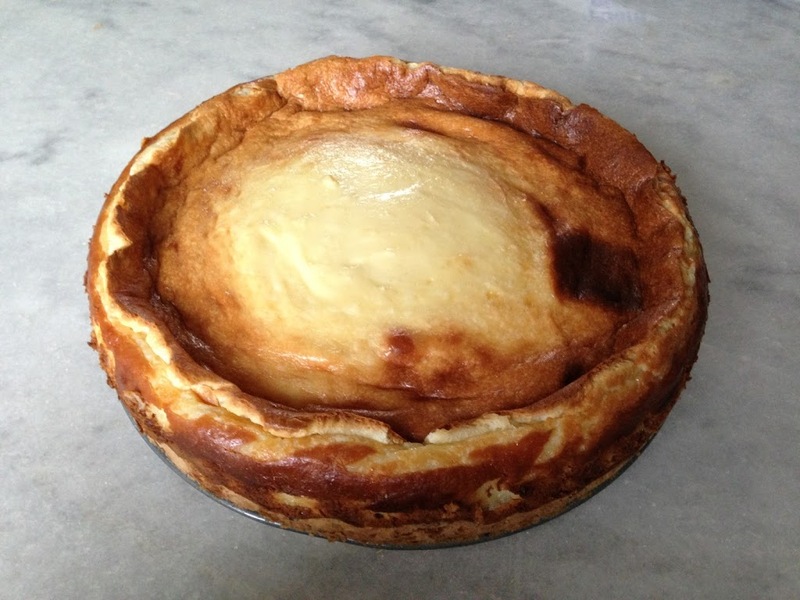 Cheesecakes always seem daunting to me, but it really was straightforward, even with my chocolate center filling twist added. It made it look that much more sweet and the flavor combination was great. Did I mention I used pistachios in the crust? Bake in your preheated oven, for 13-15 minutes until the crust turns barely golden brown. Set aside to cool for a few minutes. In a bowl, beat your cream cheese until it is light, fluffy, and of a creamy texture. Add your remaining 1 and 1/2 cups of sugar and beat the mixture well, making sure it is incorporated nicely. Next, add in 1 and 1/2 teaspoons of vanilla extract and all four of the eggs and mix just until the yellow from the egg yolks disappears. Pour half of the batter on top of the crust you just baked. Sprinkle about half of a bag of mini chocolate chips, leaving a margin of about an inch around the sides, on top of the cheesecake batter. Finally, carefully and gently, pour the remaining batter over the chocolate chips. With a spatula, even out the top. Bake on a baking sheet, as an extra precaution, for approximately an hour at 350 degrees, or until the cheesecake is set [took an additional 2-3 minutes for me]. When it is out of the oven, let it cool/set for a little while. Then, run a knife around the edges of the cheesecake before unlatching the springform pan. We all know I didn’t do the whole waiting part too well, so the first piece I cut wasn’t totally set. Oh well, I’ll live. It tasted great… and the rest of the pieces were a lot easier to cut [because it had set]. My excuse? The first piece always is a mess. Serve your cheesecake, warm, with…. whipped cream and chocolate shavings on top [or sprinkle mini chocolate chip morsels!] if you want to go the extra mile. By the way: before I put the pan in the oven, it looked so skimpy — I thought it wouldn’t turn out right. By it rises [a good amount], and then goes down somewhat as it cools/settles… but in the end it turns out just as you would expect a cheesecake to look like, size wise: neither too flat, nor too thick. The plan is to make an Afghani meal for dinner tomorrow that Ami [mom] loves [and requested! 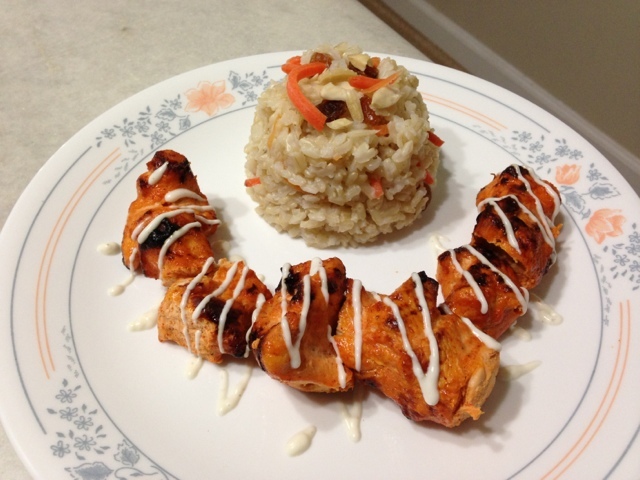 ]: Kabuli rice with chicken kebabs. Let’s see how that goes. 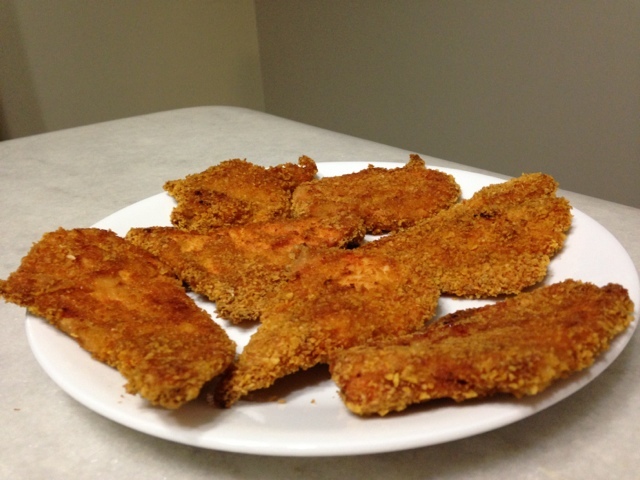 For dinner tonight, I made Cornflakes Crumbs Crusted Chicken Tenders that I baked. Season your chicken with all of the spices listed above [salt, pepper, garlic powder, paprika, cayenne pepper, chili powder, and onion powder]. Mix it well. Spray non-stick cooking spray over the seasoned chicken. 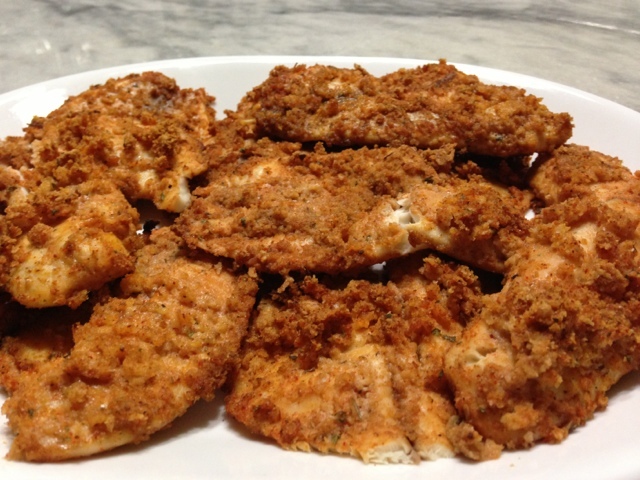 Run each seasoned chicken tender through the cornflakes crumbs, ensuring it is nicely coated. Transfer each crusted chicken tender onto your lined baking tray. Once you have coated and crusted all of your chicken tenders, spray non-stick cooking spray on top of the chicken. Bake initially for ten minutes. At that time, take the chicken out to flip them over… and then bake for an additional 8-10 minutes.